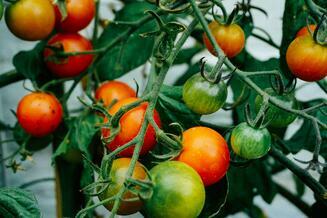 How much will a community garden cost for your employees or tenants? Most people understand that an attractive outdoor space can have a positive effect on mood (that’s why you invested in the landscaping design that you did!). But we’re happy to report that more and more property managers are beginning to realize that cultivating plants has even more advantages. 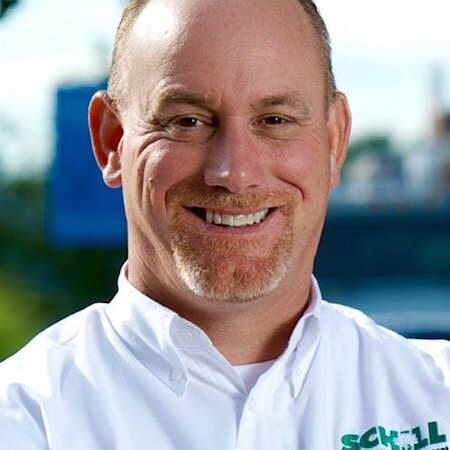 Here at Schill, in addition to creating commercial landscapes, we also love helping organizations create spaces that pass on the psychological, social, and social benefits that community gardens can provide their tenants and employees. We know that cost is a concern for companies and property managers, and we want to want property managers to know that building a space for tenants to garden doesn't have to cost that much. Horticultural therapy has been formally practiced for decades in a variety of industries as a way to help people improve their overall wellbeing. When gardening is done communally, it can result in an enhanced mood, a reduction in stress, and increased concentration. That last cognitive benefit is especially important for properties with a high majority of senior tenants. Gardening is also inherently physical. One hour of gardening can burn up to 330 calories. That’s at least 20% more than lifting weights, according to Harvard Medical School. So, adding in a garden for your tenants or employees is not only cheaper than building a gym, it might be more beneficial! Nevertheless, there are many ways to alleviate the strenuous aspects of growing plants. 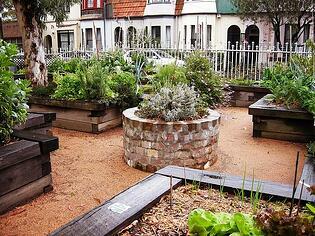 Raised beds are great for senior communities, or places where people don’t want to spend a lot of time bent over. 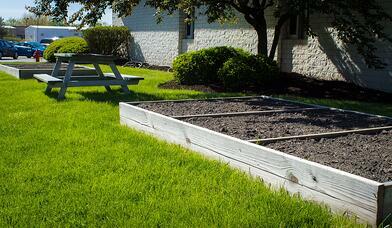 Continue reading to learn more about raised beds and how much they can cost. Deciding whether or not to install a community garden is really a no-brainer because they can be created on any size property across all budget levels. You can get a community garden started at your property for free using upcycled materials. No space for a large communal plot? Consider adding beds to tenant’s private space as an enhancement. Upgrades and improvements like this go a long way in increasing tenant satisfaction. 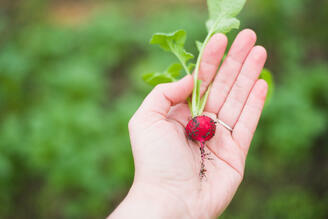 Many employers and property managers absorb the cost of communal garden plots by supplying seeds and soil. Others pass all costs onto employees or tenants by requiring a buy-in for garden space. Sometimes a portion of the yield is given away to local charities and food banks. This was done right here in Northeast Ohio at Mange, the former community garden at Crocker Park. According to Krista Schill, who still oversees plantings at the shopping center, Crocker residents donated hundreds of pounds of produce to local charities. A similar initiative can be a great philanthropic opportunity for your organization. At Schill, we’ve made employee gardens at a variety of price points. Some we’ve built and maintained by adding soil when needed, and others we’ve constructed and let property owners manage. Below is a list of different types of materials that can be used to build your ideal community garden, as well as a range of what each type of plot might cost. Container gardens, which are great for both flowers and produce, can start out at around $25/container and take up very little space. For a more polished look, 6x12 ft. raised garden beds made of wood start at $250 with no soil included. A bed of this size can be subdivided into 3-4 plots (and accommodate the same number of people). But wait. My company has 3,000 employees. There’s no way I can build 1,000 plots! Sadly, not all of your employees or tenants will want to garden. Invacare is a large company with thousands of employees that got us to install about fifteen 6x12 foot plots outside their cafeteria. They subdivided these plots and allocated them by department. This not only allowed them to maximize on a limited amount of space, but also allowed for team building and comradery. Read more about their garden below under case studies. Culverts are an easy way to make a large raised bed. New Culverts (yes, those big metal things used to guide and direct water underground) can be expensive new. A brand new 48”x 20’ culvert will make you five planters that are four feet high for about $280 each ($1400 total). But they can cost you nothing if your local city has used ones they’re looking to get rid of. The look they provide is rugged and modern, albeit maybe too industrial for your tenants’ taste. Leftover culvert pipe can be used to harvest rainwater, which will minimize the long-term costs of your community garden. If you like the idea of galvanized metal, but want to save money or want a softer, more rustic look, water troughs also make excellent raised beds that are easily moveable. You can get a 2x2x6 ft. trough for under $150. Are containers not your style but you love the idea of a high yield garden and still need to save space? 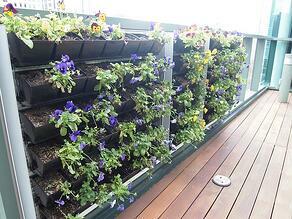 Vertical gardens, like the one pictured left, can be a beautiful, modern solution. Is your office or property in an urban area with no additional outdoor space available at all? Vertical gardens can also be installed indoors. These are a little more expensive as they tend to require lights and water drip systems. But if, for instance, your office has limited windows, the added sunlight and green space can be great for employee morale. Simple, wall mounted kits without lights or water systems start at $40. Premade wooden vertical planters that include drip irrigation systems and around 17 linear feet of growing space can cost as little as $200, though custom-made and more complex freestanding units can cost thousands. Want an even more upscale, permanent addition? Consider masonry. If your community garden falls out of use in the future, you can repurpose these planters into aesthetic additions to your landscaping design. Depending on the material of the rock used, a 6x12 unraised masonry bed can cost anywhere from $300 to $1000. Prices increase depending on whether or not mortar, which is recommended for raised beds, is used or pieces are simply stacked. Pictured left, a sone raised bed is used as a centerpiece in a larger landscape. This hybrid approach is a great way to save money while creating an appealing focal point for your community garden. Karen Chapple, Invacare Corporation’s Director of Safety and Health, says that their gardens have been great for team building and associate morale. They have also been great for creating a sense of community among departments and even fostering a little friendly green-thumb competition. Teams from different departments plan and plant their own vegetables or flowers. Everyone enjoys watching the progress as the plants sprout and produce. Invacare promotes healthy food choices by distributing healthy recipes to the team members to help them use their bumper crops. For instance, they’ll send out recipes that utilize tomatoes because most teams have plenty of tomatoes. These gardens are very low cost and require very little maintenance, providing Invacare a great return on investment. The build of the gardens costs under $2,000, and maintenance is worked into their landscaping contract. We at Schill top off soil at the beginning of the spring season so that the plots are ready for gardening. This is a great way to drive engagement among employees and add value all season long. 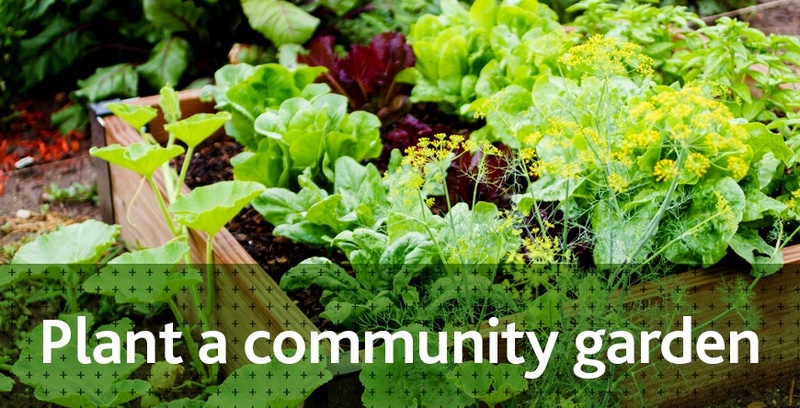 Are you interested in building a community garden for your employees or tenants? Please feel free to give us a call or send us a message for a quote or more information. Are you a tenant of an apartment of HOA community? Share this post with your property manager or HOA board today!